Head over to Amazon and get the Minecraft: The Complete Handbook Collection for just $19.18, down from $31.96. Shipping will be FREE with Amazon Prime or an order of $35 or more. 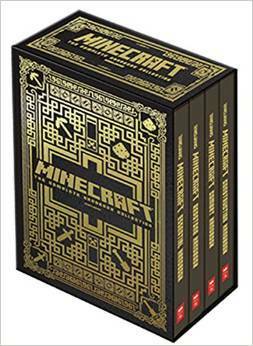 For the first time ever, Minecraft’s four bestselling handbooks are available in a stunning, gold-foiled boxed set! This ultimate collection includes the Essential Handbook, Redstone Handbook, Combat Handbook, and Construction Handbook.